Apply did not make the partnership with Qualcomm because of the clear reasons and the people, who think about Samsung, it has signed off the separate extended partnership last week. 5G internet standards have already been discussed and the research work is still continued. The live trials of 5G NT standard will be paraded by end of this year and some of 5G supported devices roll out by 2019. There are some of the biggest smart phone manufacturing companies, which will introduce the 5G compatible flagship smart phones in the market by next year and the usage of 5G in the smart phone will be added with VR / AR headsets and Always connected PCs. There will be some other big names including China Mobile, AT&T, Orange, SK Telecom, Verizon and Vodafone, which have conducted the trials for 5G NR standard to optimize the networks. 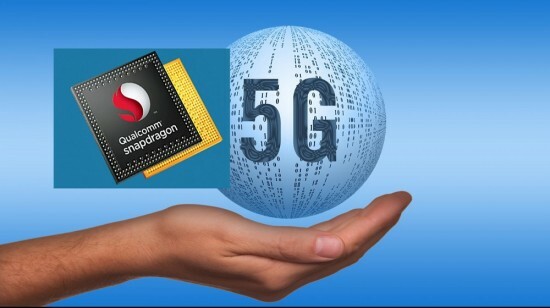 Qualcomm will demonstrate ultra fast internet at MWC 2018 and the company claims that the Snapdragon X50 5G modem in getting the several gigabits per second and they will be flaunted in the coming live demonstration.